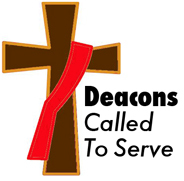 November 7, 2018 Deacon MikeLeave a Comment on November 7, 2018 – You’re Invited to His Banquet! Will You Come? November 7, 2018 – You’re Invited to His Banquet! Will You Come? November 6, 2018 Deacon MikeLeave a Comment on November 6, 2018 – What a Wonderful World This Could Be! November 6, 2018 – What a Wonderful World This Could Be!